This is such a nice release - I am crazy about bands that know how to build a song; SML nail it! And the best thing of all, they love to share their creations for free... Listen to them now please! a little trio from london, ontario. making bedroom pop in a tiny studio. perry hammoud, jonathan zarola, and danielle fricke. Snow Mantled Love have created yet another collection of ambient, soothing bedroom pop lullabies. Full of dreamlike extended jams, Conversations draws you into its world and doesn't let go. Favorite track: The Bear. 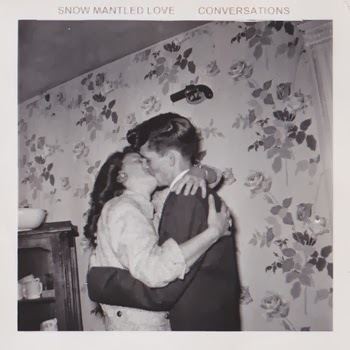 Snow Mantled Love have just become one of my favourite bands. Favorite track: Familiar Ground. Wow, so good... Please listen and respect what they do... K?